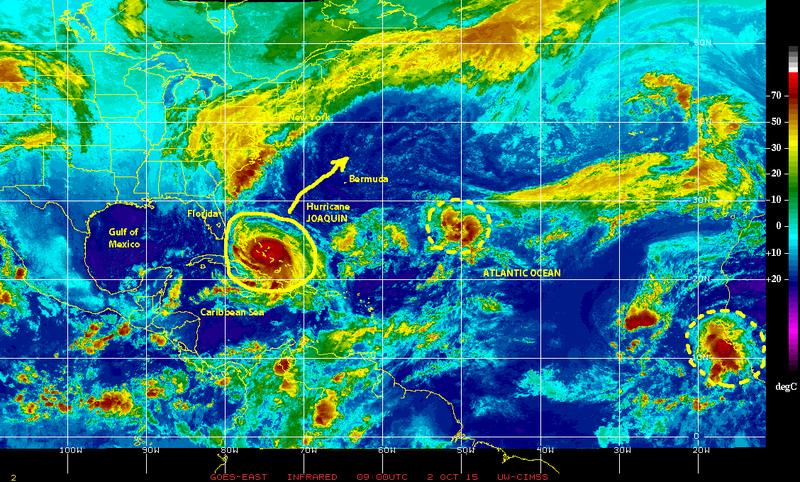 It is getting late in the 2015 Atlantic Hurricane Season, already past the traditional historical peak of the annual season, and here we are on 2 October watching a major category 4 Hurricane JOAQUIN that has been hammering the central Bahamas for the past two days. Because of the interaction of several atmospheric systems over the Atlantic and North America forecasting where JOAQUIN will actually go has been rather difficult. Just a couple of days ago with the hurricane nearly stationary over the Bahamas, panic waves spread along the U.S.A. eastern seaboard as several models traced a track pointing toward New Jersey and New York, and memories of SANDY vividly flashed back for million of residents along the Atlantic coastal region. 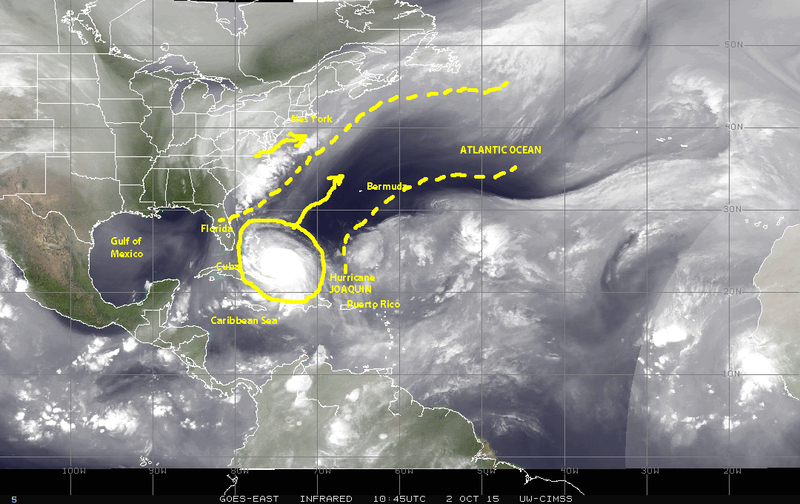 More recently the picture has become clearer as the various weather systems have gotten more organized in the atmosphere and a definite path of least resistance has opened. which appears will take JOAQUIN on a northeasterly track paralleling the U.S.A. coastline and most probably avoiding a direct land-falling impact of these still Sandy-traumatized regions. To the east of JOAQUIN we are watching a disturbance in the central Atlantic that appears to be getting much better organized, and a strong tropical wave just emerging from Equatorial Africa over the eastern Atlantic to the south of the Cape Verde Islands. So it appears there is still plenty of fuel for potential cyclonic activity in the north Atlantic basin, despite the dampening effects of a strong and still developing El Niño off the Pacific coast of Peru. 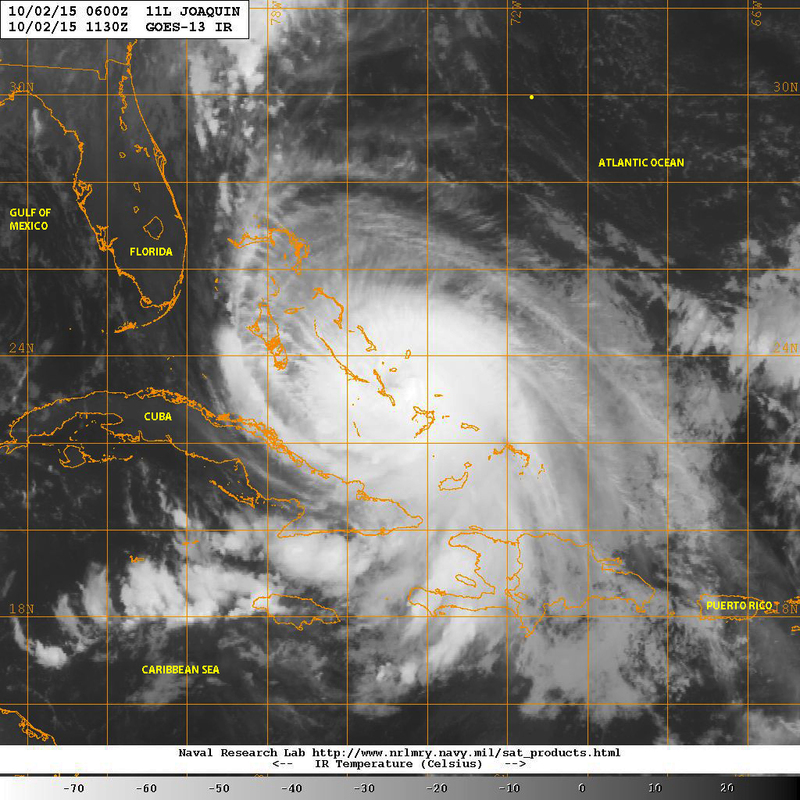 Like recently departed New York Yankee legend Yogi Berra used to say “it ain’t over until it is over”, so the prudent course of action for all interest around the basin will be to pay attention, remain alert, be prepared, and above all MITIGATE, as we go through the final stretch of the ‘official’ 2015 Atlantic Hurricane season. Keep in mind, it won’t be over until mother Nature says it is! Previous PostSnapshots of Earth on 5 September 2015Next PostPATRICIA: One for the record book!